Handball is very much alive and well in St Brigid's GAA Club, and has been since the late 1980s. It is a fast, highly skillful, fully inclusive and enjoyable sport, which develops ambidextrous strengths and hand-eye coordination. It caters for singles, doubles and team participation and as non-contact sport is a âgame for lifeâ. Eoin Kennedy, multiple All-Ireland Champion is a proud product of the St Brigidâs handball youth system and he remains today one of Ireland's finest ever handballers. His astonishing total tally of 29 Senior All-Ireland medals, over a senior playing career extending over twelve years, includes 9 Senior Singles Softball and 8 Senior Hardball Singles as well as 10 Senior Doubles in the 60x30 softball and hardball and both Singles and Doubles success at 40x20. Most recently, partnered by another club member Carl Browne, he won the 2015 Senior 60x30 Doubles last October. The Clubhouse has two indoor 40x20 handball alleys. One of the alleys has a viewing gallery, with seating capacity for 50 people, while both alleys have recently been refurbished and are once again in top-notch condition. 2013 saw the club install two new 1-wall courts in our revamped hall, to add to the two existing outdoor 1-wall courts. Several members of the Club have the distinction of achieving World Champion status, Julie Long (RIP), Eoin Kennedy at Open level and Eugene Kennedy at Masters level. Most recently the Flynn brothers, Darren and Niall won the C-level Doubles in Calgary. Maria McCarthy won the Ladies Junior All-Ireland Singles Title in February 2003, while 2013 saw Audrey McCormack and Sabrina Hughes power their way to the All-Ireland Junior Ladies Doubles title. St Brigidâs members compete at both juvenile and adult levels, and our U14 Handballers reached the 2012 Feile Finals also in City West. The club has had juvenile inter-county representation in many age groups. Juvenile training takes place on Tuesday and Wednesday evenings under the expert coaching of Enda Timoney and Jim Leen. The handball section is always open to new members! If you are interested in playing or taking up the game, why not contact our Director of Handball, Eugene Kennedy. His details are below. We look forward to hearing from you! Eugene Kennedy on 086-353-6237 for adult participation. Handball is a fast, skilful, greatly entertaining and fully inclusive sport. Handball develops ambidextrous hand-eye coordination skills and couples athleticism with tactical awareness and control. It is as an ideal sport for cardiovascular health and as a non-contact sport can be a âgame for lifeâ. 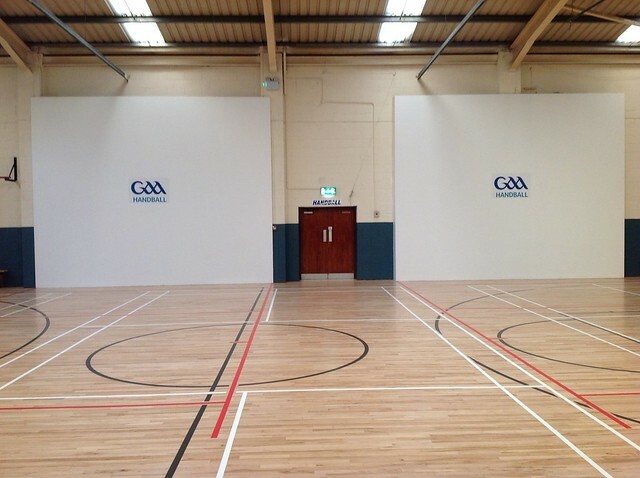 St Brigidâs GAA Club has two indoor 40x20 courts and four 1-Wall courts. 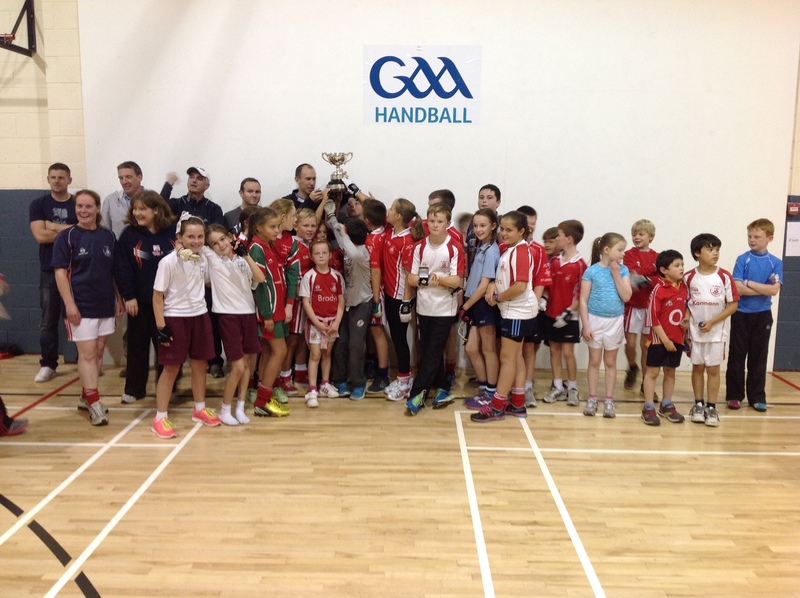 Our juvenile handballers have competed successfully at Dublin, Leinster, National and International levels. St Brigidâs Carl Browne and Eoin Kennedy are current All-Ireland Senior Doubles Champions. If you are interested in playing handball you can come to the Club on Tuesday or Wednesday evenings, to meet our handball coaches who will introduce you to the game. Bring a friend and enjoy playing handball.